Shenzhen Open Innovation Lab (SZOIL), established by Maker Collider and SIDA, is a space and platform for worldwide makers to communicate and cooperate. SZOIL is also the first Fab Lab in Shenzhen authorized by MIT CBA as a research and development partner of Fab Lab 2.0. SZOIL embodies four functions including Fab Lab promotion and Fab Lab 2.0 research and development, innovation and entrepreneur education courses for makers, global maker service platform, and industry chain collaboration service. The lab dedicates in exploring the issues and developing solutions to connect the massive production ecosystem to small hardware startups so as to promote the international standing of Shenzhen in the development of digital intelligent hardware and manufacturing and build a future intelligent hardware Silicon Valley by combining new open source method and current manufacturing system in Shenzhen. SZOIL is a digital, intelligent innovation laboratory for technological innovation, knowledge sharing, creative exchange and collaborative creation. With navigation and guide of different maker spaces available, it encourages interdisciplinary exchanges, promotes the realization of creative ideas and its productization, organizes maker gatherings, workshops at all levels, entrepreneurial salons and investor meetings, and provides the best and top-quality services for entrepreneurs to help them put thoughts and ideas into practice. Since its inception, SZOIL has organized a number of international and distinctive makers-related brand activities, attracting many outstanding makers at home and abroad to participate, and winning unanimous praise from industry peers and domestic and foreign makers, such as “Shenzhen Makers @ World” organized by Shenzhen Foundation for International. Exchange and Cooperation which aims to explore the innovation ecosystem of makers in the UK and the United States and promote the in-depth exchanges and cooperation; the “Belt and Road” International Makers Summit at the National Mass Innovation and Entrepreneurship Week which aims to explore a new development pattern for the “Belt and Road” innovation and entrepreneurship and Shenzhen industry chain; and FAB12 at which more than 1,000 core managers of global Fab Lab networks discuss makers’ innovative projects and the possibility of commercialization based on Shenzhen resources. The 2018 National “Designed in Ethiopia” Innovation and Entrepreneurship Activities from the Ministry of Science and Technology of Ethiopia undertaken by Shenzhen Open Innovation Lab (SZOIL) linked young Ethiopia entrepreneurs with Shenzhen’s open innovation resources to promote the development of both sides. A series of activities organized by SZOIL have attracted the attention of outstanding makers at home and abroad, and prompted them to visit SZOIL on the spot, and have been well received by their counterparts and makers at home and abroad. Relying on the local industrial chain resources, SZOIL helps accelerate the development of makers’ innovation and entrepreneurship projects and looks to create a global leading, national flagship high-quality innovation service platform for makers. Since its establishment in 2015, SZOIL has nurtured and incubated more than 100 maker team projects at home and abroad, of which more than 25 have been funded by the Shenzhen City’s annual special funds for social and individual maker projects; in 2016, SZOIL was identified by the Shenzhen Municipal People’s Government as a city-level maker service platform, and in the same year, it was upgraded to a maker space filed in the state and recognized by the Torch High Technology Industry Development Center, Ministry of Science & Technology. SZOIL is a digital and intelligent innovation laboratory for technological innovation, knowledge sharing, creative exchange and collaborative creation. In 2016, it became the first and only teaching location in Shenzhen for the course of MIT CBA Fab Academy, and also the first laboratory in China that successfully trained Fab Academy certified local instructors and topped the list in number of certified instructors. 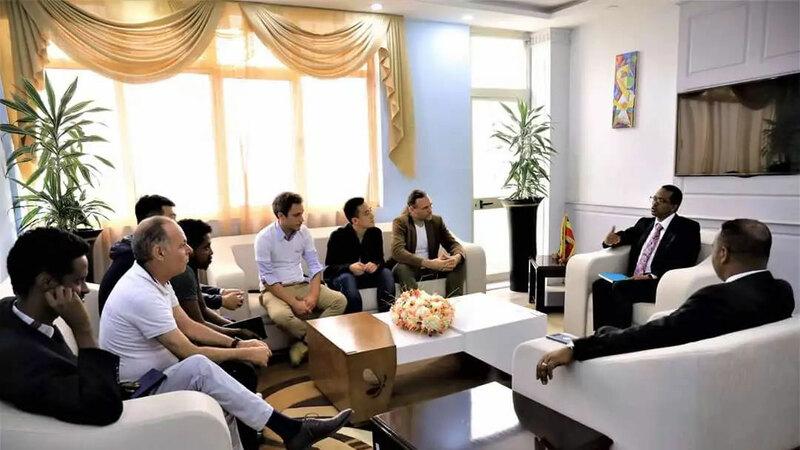 SZOIL has been actively exploring a new model for the development of global Fab Lab network and Shenzhen industrial chain and strengthening the bottom-up innovation based on the innovation eco-construction in countries and regions along the “Belt and Road”. As the flagship store of Fab Lab in Shenzhen, it has successfully set up 12 Fab Labs in domestic provinces and cities and other countries and regions along the “Belt and Road” in the past three years, including Shenzhen SEG Fab Lab, SZIIT Fab Lab, Shenzhen Houde Academy Fab Lab, Xi’an Fab Lab, Hangzhou Fab Lab, Huizhou Fab Lab, Beijing Zhongguancun Intel Open Innovation Lab, Chongqing Innovation Center Fab Lab, Changsha Fab Lab, Shaoxing Paojiang Fab Lab, Hebei Industrial Design Center Fab Lab and Xinjiang Karamay Fab Lab. Fab Lab projects supported by overseas countries include Impact Hub maker space in Accra, Africa, co-hosting the National College Students Innovation and Entrepreneurship Competition with the Ministry of Science and Technology of Ethiopia, establishing contact and cooperation with the maker spaces and incubators in Kenya, Nigeria and other countries and regions in Africa to introduce more local hardware projects to Shenzhen and push forward the production and implementation of these projects based on Shenzhen’s available industry chains, and building Fab Lab in refugee camps in collaboration with the Global Humanitarian Laboratory to provide software and hardware support for the innovation and maker education. Fab Factory aims to build a digital, innovative and intelligent factory which can unleash infinite creativity. The key to digital manufacturing in the future lies in “open source”, which can allow everyone to share resources through the Internet and encourage more people to create. Efforts should be made to advance the FabLab 2.0,to provide hardware support for localized production of next-generation machines by using digital manufacturing hardware combined with open-source design equipment, and platforms for more creative products in diverse areas such as biology, aerospace and marine, and to promote the digital manufacturing. Acquire resources from all over the world, such as open source design and open source code, through a shared platform on the Internet, shorten the project development period, and maximize the resource advantages in Shenzhen’s local manufacturing and supply chain to help more makers and innovation and entrepreneurship teams to move toward the more cutting-edge commercialization. As the pioneer who pays close attention to the maker activity, David Li has been committed to promoting the development of Chinese makers and the transformation of innovative products since 2010. Meanwhile he is the important promoter of China maker activity and is honored as “Top Maker in Asia”, and he once participates in the founding of the first maker space of China-Xin Chejian. David has participated in open source movement since 1990, and he is the member of Free Software Foundation and the code contributor of Apache as well as the director of Object Web Open Source Geospatial Foundation. 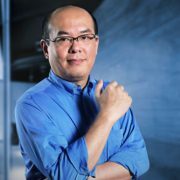 During the past 20 years, he has participated in the interactive multimedia project of Steven Spielberg, Disney World, Japanese IT enterprise project and the design of social networking application of Facebook, and he also developed the visual programming environment Ardublock for Arduino and started and worked for many open source software projects. Shirley Feng is honored as the “industrial design promoter” and “maker promoter”, who is the pioneer of Chinese creative industry and the executer of building Shenzhen into “City of Design“. She has many design achievements that rank top in the world, and now she has been the Chinese lady who attracts the eyes of the world and gains much praises in the field of international industrial design. As the person in charge of Shenzhen Industrial Design Profession Association (SIDA), over the past 7 years, she has made it the largest industrial design profession association in China and even in the world. In 2014, she established Sino-Finnish Design Park, which attracted many top designers at home and abroad and became the international intelligent hardware innovation platform. In recognition of its contribution in promoting the cooperation of the makers between Taiwan and Mainland China, it is approved for the title “Cross-Strait Youth Entrepreneurship Base”. In 2015, she led to organize and implement Shenzhen International Maker Week. She has also done a lot of work in promoting the close cooperation between Shenzhen and MIT, founded the Fab Lab Shenzhen, promoted development of the Fab Lab 2.0, and first introduced and successfully held Fab 12 in Shenzhen. 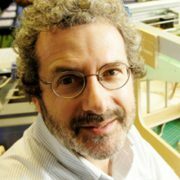 Professor Neil Gershenfeld is the founder of Fab Lab and the professor of CBA of MIT. His special Lab creates the molecular quantum computer and music instrument of famous artists, which breaks through the boundary of digital and the physical world. His laboratory technique is adopted by Museum of Modern Art in New York, rural area in India, White House, World Economic Forum, community center downtown and car security systems, etc. He is the author of many technical publications, patents and books. He is the starter of regional Fab Labs of global network and provides the model tool for individuals, and he also instructs the Fab Academy, which is the associated projects to do the research and education according to the digital manufacturing principles. 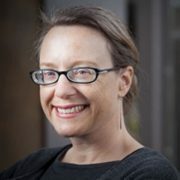 An IFTF Distinguished Fellow, Lyn leads IFTF’s EDU program, developing and delivering futures thinking training to public and private sector practitioners around the world. She contributes to IFTF’s Future 50 annual research program. Fluent in Mandarin, she has several decades of experience doing research in China. 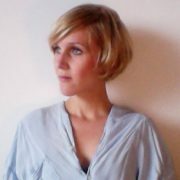 She enjoys designing bespoke research projects, group processes, and foresight presentations for a wide range of audiences. Lyn holds a BA in Chinese Studies and a Ph.D. in anthropology from the University of California, Santa Cruz. Silvia Lindtner is an assistant professor at the University of Michigan in the School of Information. She researches, writes and teaches about DIY (do-it-yourself) maker culture, with a particular focus on its intersections with manufacturing and industry development in China. Drawing on her background in interaction design and media studies, she merges ethnographic methods with approaches in design and making. This allows her to provide deep insights into emerging cultures of technology production and use, from a sociological and technological perspective.